It’s all go in Camp Carey at the moment. Not only has her new single ‘You’re Mine (Eternal)’ made an impact at both media and digital retail this week, but her Lambily now has a firm date for the release of that long-awaited album – and a brand new video to call their own. Yes, the clip to ‘You’re Mine (Eternal)’ popped onto YouTube earlier this afternoon Australian time with what initially looks like a merMimi swimming across the screen. Alas it’s not; simply Mariah in a gorgeous gown as she begins to let us know in film that she’s pining for her aesthetically pleasing ex. It seems that she might not be the only one. 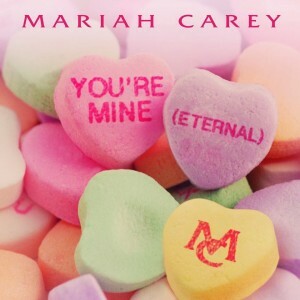 We’re thrilled that Mariah and her team have taken her back to basics with her latest material. ‘Almost Home’ was fine mid-tempo pop, ‘#Beautiful’ was an utter gem and while we’re less enamoured with ‘You’re Mine (Eternal)’ musically, it’s Mariah doing what she does best, without the unnecessary inclusion of some two-a-penny rent-a-rapper. She has released a version with Trey Songz, so she hasn’t gotten rid of the rent-a-rapper entirely (though it is more RnB). Still, unnecessary.